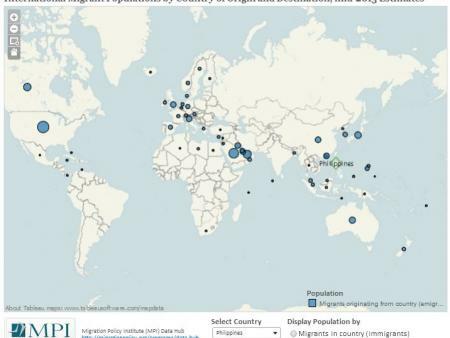 As policymakers in countries around the world look to expand their migration-management policy toolkits, a growing number have sought cooperation with neighboring states and those further along common migration corridors. This shift is rooted in part in a recognition that unilateral action is often of limited effect and can have unintended consequences. Closing a border, absent a broader regional strategy, often diverts rather than stems flows, pushing migrants to instead travel new (and often more dangerous) routes. While most partnerships aim to improve border management, return those migrants who are found not to have a claim to remain, and address the underlying drivers of migration, such cooperation does not always bear the intended fruit. This Transatlantic Council Statement, which caps a series on partnerships that can respond to the next decade's migration challenges, explores how countries along different migration corridors are working to cooperatively manage migration—and why the results of these partnerships have been so mixed. Though reducing arrivals and increasing returns have long been of central importance to destination countries, some are beginning to appreciate the need to look beyond short-term enforcement aims to sustain cooperation with origin and transit countries. In doing so, policymakers may need to find ways to ensure both sides derive real benefits from cooperation, think critically about how to address politically sensitive issues, and develop a forward-looking approach to monitoring and acting to pre-empt potential crises.